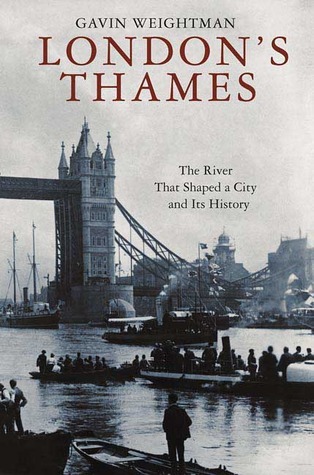 This is an excellent book about the river Thames and how it and transportation in general affected the development of the city of London over the last 1000 years. A short book of only 140 pages, it is made up of separate chapters, which are almost self-contained stories, that cover such topics as bridges, tunnels and boats. It is an easy read and should be read by history lovers as well as people interested in transportation and technology. Gavin Weightman has included a short but valuable bibliography for those who have further interest. Unfortunately this book has one major flaw, which is so common today and is primarily the fault of St. Martin's Press, the lack of maps! While it includes several illustrations, no map of the river Thames in the London area was included. Gavin Weightman wrote this book from the perspective of someone familiar with London, and as a result people who are not will find the lack of any maps a serious fault. Unfortunately a contemporary map of London will be of little help as so many of the locations discussed are not shown. I highly recommend Gavin Weightman as an author and also enjoyed his book, The Frozen Water Trade! An enjoyable and engaging punt down the Thames, its history, geography and crucial role in the development of London. Short, succinct and can be read in a day - an ideal introduction to the city's dark, flowing heart. Don't usually read nonfiction but picked up this ex libris copy for 20p for my Dad. No expense spared, me. He enjoyed it and so did I. Full of interesting facts. Easy to read and enjoyable history of London's Thames River. I learned a lot about many topics relating to this famous river. I highly recommend this book to anyone who enjoys history. Just-the-right-length little history of the Thames. Wish I could've walked along it as I read about it. And I very much want to walk across the Millennium Bridge.